NeuroSoma® provides practitioners the finest, most reliable tools with which to facilitate client/patient healing from many painful conditions, including but not limited to muscle pain. Learning the NeuroSoma® technique is like learning to play a musical instrument and requires sensitivity, focus, and practice. 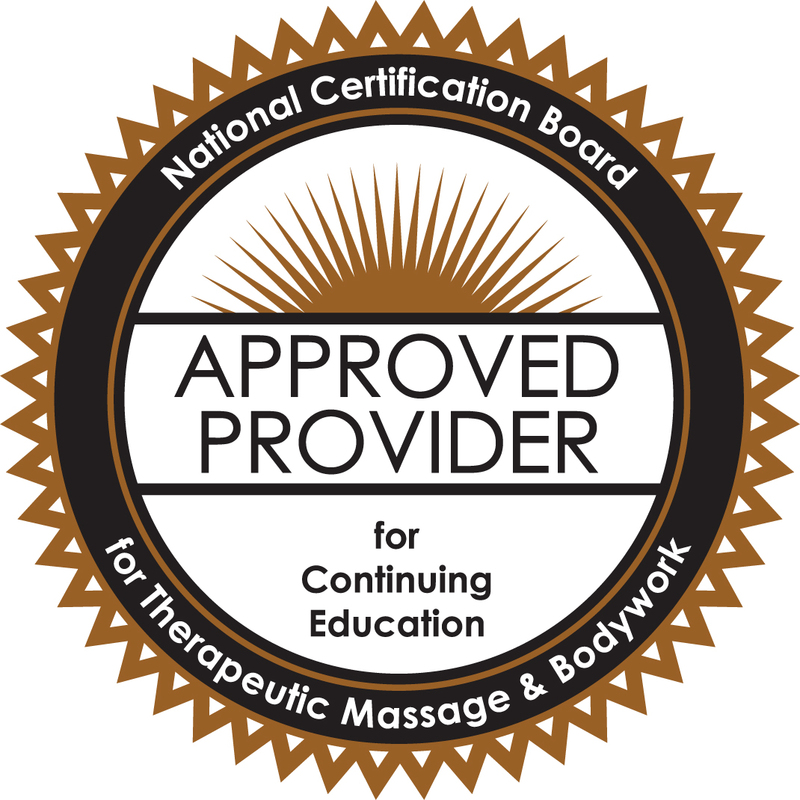 INTRODUCTION TO NEUROSOMA® is an NCBTMB-accredited, *5-Day 42-Hour (35 in-class hours, 7 hours homework) Concentrated Cou rse for Massage Therapists, Chiropractors, Physical Therapists and other Body Workers. Laypeople who wish to treat friends and family are also welcome. NON-PROFESSIONALS WHO LEARN THE TECHNIQUE can help themselves, their family & friends find relief from pain and limited movement. *The maximum allowable NCBTMB Continuing Ed Credit Hours is now limited to 18 per year, with NO rollover hours to your next certification period; so you’re doing this class for yourself, not for them! INTRODUCTION TO NEUROSOMA® CLASSES ARE NOT REGULARLY SCHEDULED. If you are interested in taking this course, contact Tamsin Stewart at info@neurosoma.com; you will be grouped with 1 or 2 others on a waiting list, and together you can choose a date for your class. These classes are strictly limited in number in order to utilize the apprentice/teacher relationship necessary to master the technique. It is a hands-on class ~ 5 days of intensive practice on the entire body learning the art of NeuroSoma®. You will receive a Certificate of Completion on Day 5. Paid (currently priced at $1000) & registered students study FLASH anatomical presentations prior to class; therefore class time is fully devoted to learning the NeuroSoma® techniques. The 5-day course covers all 75 muscles & muscle groups most prone to hypertonic spasm, starting with the arms (the technique is easiest to learn on arm muscles, and students with hypertonic arms/hyper-extensive fingers ~ common among massage therapists, keyboardists, and many others ~ can immediately begin to relax and strengthen their own arms & fingers. [Spastic, contracted muscles are WEAK muscles!]) We then move to shoulders, buttocks, legs & feet, back, neck, abdomen and chest, and finally the all-important suboccipital muscles. Expected Outcome: You will come away from this class with with powerful new working skills and a deepened understanding of the human body. NeuroSoma® enables you the practitioner to discover, assess, and treat muscles with scientific precision; proficient practitioners have an almost uncanny, X-Ray vision to muscles and their skeletal attachments. You know exactly where you are, where you need to go, and what you need to do. Your clients’ pain no longer mystifies you, and on a very real level, you can approach a case with exponentially increased expertise and professional confidence, and these tools bring an ever-increasing and satisfied clientele. Students report that even in early stages of learning, their practices increase and thrive. Requests for NeuroSoma® practitioners come from all over the US and other countries….be that practitioner in your area. Discuss the need for tables prior to bringing yours.It may be necessary to bring a portable massage table with a face cradle. Please also bring clean bodies, clean clothes, and deodorant. Because we work in close proximity to each other, your cooperation is appreciated. REGARDING BIOPULSERS®: They are not used nor required in this class. We will have a brief in-class demonstration to help you decide if you want to purchase one for your own use (www.biopulser.com). Please note: This course is introductory in nature and does not include the intensive study in physiology and science of muscle function, nor the practice hours of the entire, previously-offered NeuroSoma courses. Therefore participants completing Introduction to NeuroSoma® may not legally use the Registered Trademark “NeuroSoma®” name, (including brochures, cards, and other resources available through the Well Being organization) in any way other than as authorized by Well Being LLC, and may not refer to him or her self as practicing NeuroSoma®. The full 120-hour, 2-Level NeuroSoma Seminars Course is retired but may be available on request to 8 or more students. For more information contact Tamsin.